REEL - Rapid Emergency Evacuation Litter | PSI - Physical Sciences Inc. The REEL, Rapid Emergency Evacuation Litter is a revolutionary, lightweight evacuation litter/stretcher specifically designed to meet the needs of tactical field care. It is the lightest and most compact quad folding litter ever made. 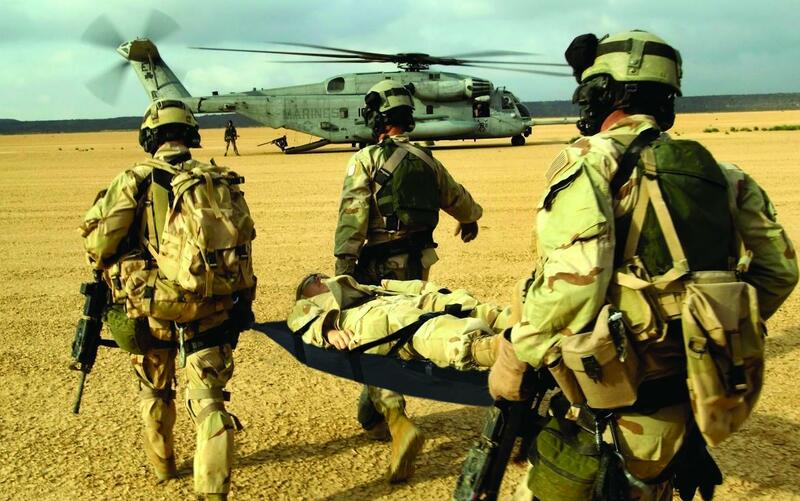 The REEL Litter enables the war fighter to carry patients for extended distances over rough terrain. Its lightweight and man packable design are ideal for dismounted, off-set, and Helicopter Assault Force (HAF) Missions. The materials are ultra-tough Kevlar, ballistic nylon and aircraft-grade aluminum. The litter system can be deployed in seconds to become an efficient patient carrying platform. For more information on how the REEL can improve casualty evacuation and recovery, or for a FREE demo, please contact us today.